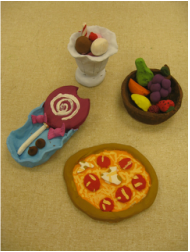 8th grade Pop Art clay sculptures, based off of Claes Oldenberg and Andy Warhol. 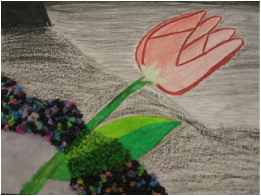 8th grade mixed media art, using four different mediums. 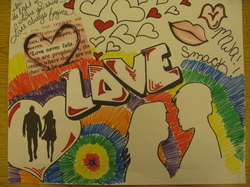 8th grade Graffiti Art with a message, using lettering and repetitive imagery. 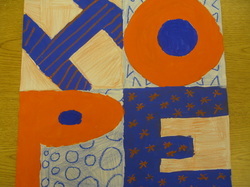 8th grade Robert Indiana positive word art, using complimentary colors.